The 2112 letter opener is latest advancement in envelope opening technology. Open a variety of mixed mail sizes and thicknesses in minutes with the state-of-the-art milling cutter technology. 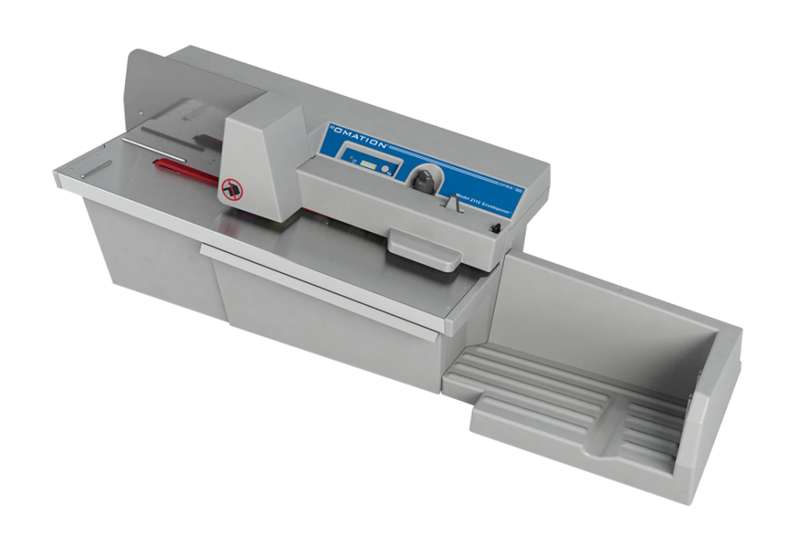 At a speed of up to 24,000 pieces per hour, this automatic letter opener makes opening your mail easy!